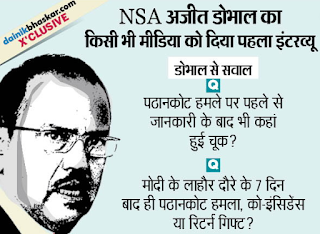 Prime Minister Narendra Modi’s national security adviser Ajit Doval, widely publicized as 007 James Bond of India, has run into yet another controversy following the Pathankot terror attack: After giving an interview to a top Indian media house, where he attacked the media once again, he has sought to deny he ever gave the interview. 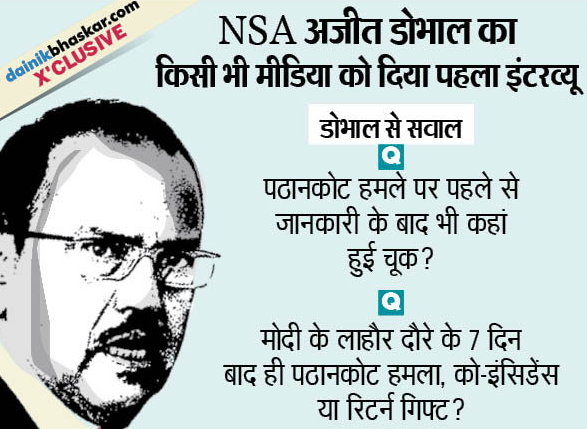 In an exclusive interview to the Hindi daily Divya Bhaskar’s online site, http://www.bhaskar.com/, Doval said that one shouldn’t say “India’s security is weak” or that it was a “matter of providence that the terrorists were in a limited area”. The reason, he suggested, is not that this is may not be true, but that this kind of view would “demoralize” the armed forces. 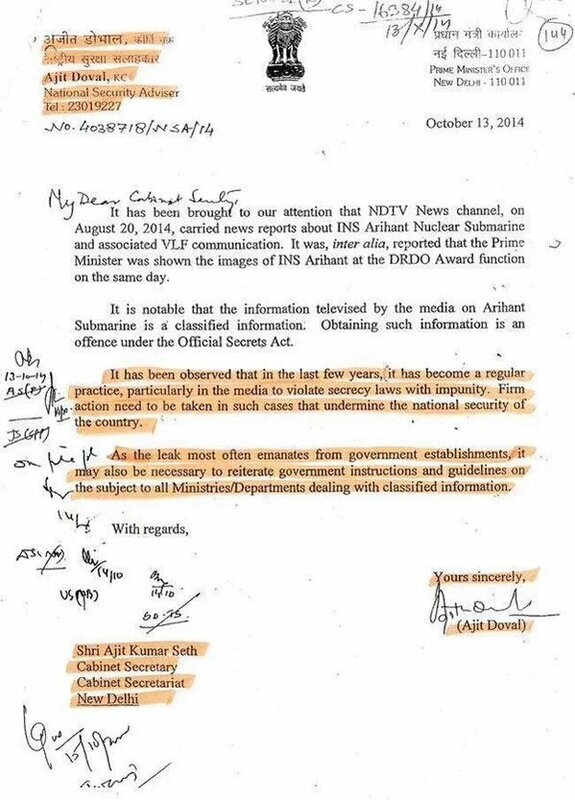 Soon after the interview, @ANI_news quoted Doval as saying that “I do not remember giving any such interview”. This led Divya Bhaskar to release the audio clip of the interview to prove that the interview, was indeed given. Meanwhile, the top Modi man became a matter of ridicule. Senior journalist Shivam Vij ‏@DilliDurAst tweeted if “India's NSA now has memory problems”. “If agencies had not responded late, a lot could have been done in order to save the situation. Yet, there was no negative comment to demoralize the effort”, Doval asserted, referring to the Paris terror attack.